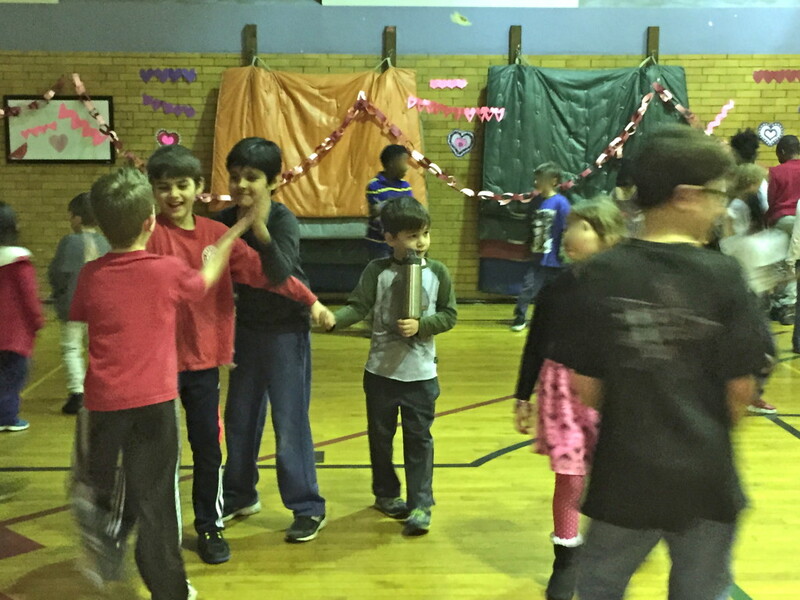 Today I had the pleasure of volunteering at Jack and Ben’s school for their valentine’s celebration. Both boys woke up earlier than usual, excited for once to get to school. This year I’m room mom for Jack class. It’s something I was very nervous about since it seems like one of those jobs that is open to interpretation and therefore quite easy to screw up. Luckily I was roped in by one of the best room moms the school has to offer and I’ve been riding her competent coat tails all year. 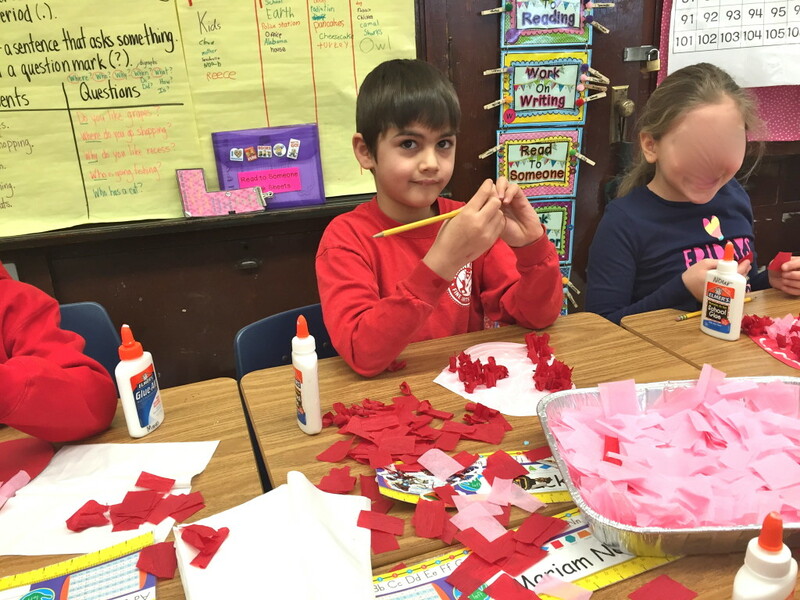 She organized great activities for Jack’s class, including a Valentine’s box decorating contest, heart decoupage, and turning a toilet paper roll into a butterfly. Jack’s box came from a kit which was kind of the easy way out, even though he seemed pleased with it. 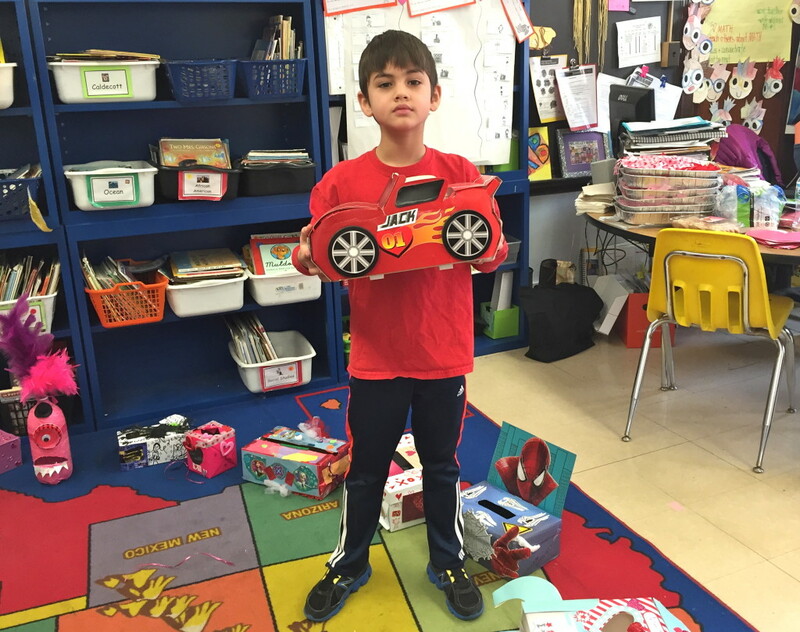 Some of the other kids were really creative with their boxes and I’m going to have to up my game if we do this again! The “For The Love of the Game” one was Jack’s buddy’s. It actually lights up when it’s turned on. One of the parameters of the contest was to have 3 hearts on the box. Jack’s other buddy put pictures of 3 real hearts, winning him the ‘most scary’ award. 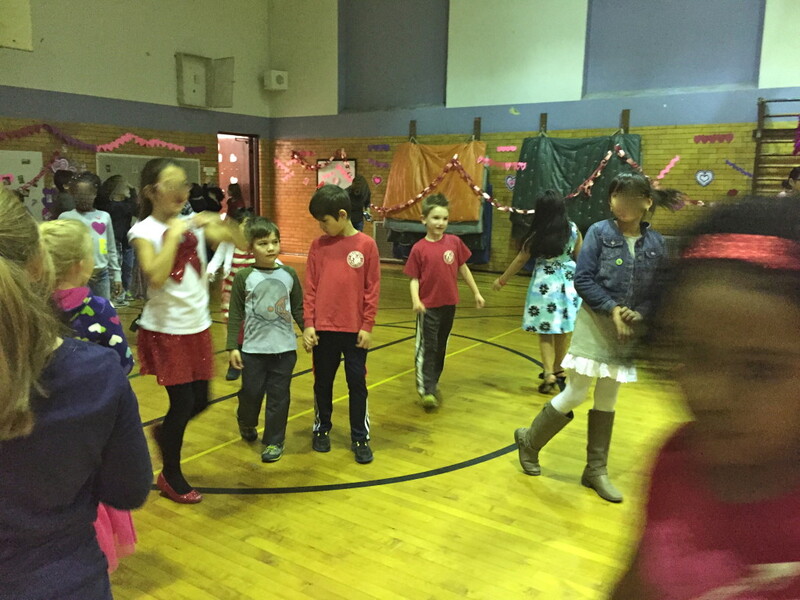 After spending the morning with Jack’s class, I joined both Jack and Ben for the Valentine’s school dance. It was really funny to watch them all wander around a relatively small space losing each other every few minutes. Jack was such a sweet older brother, making sure to keep Ben close the entire time. Jack held Ben’s hand even when he was using his other hand and rest of his body to wrestle with his buddies. 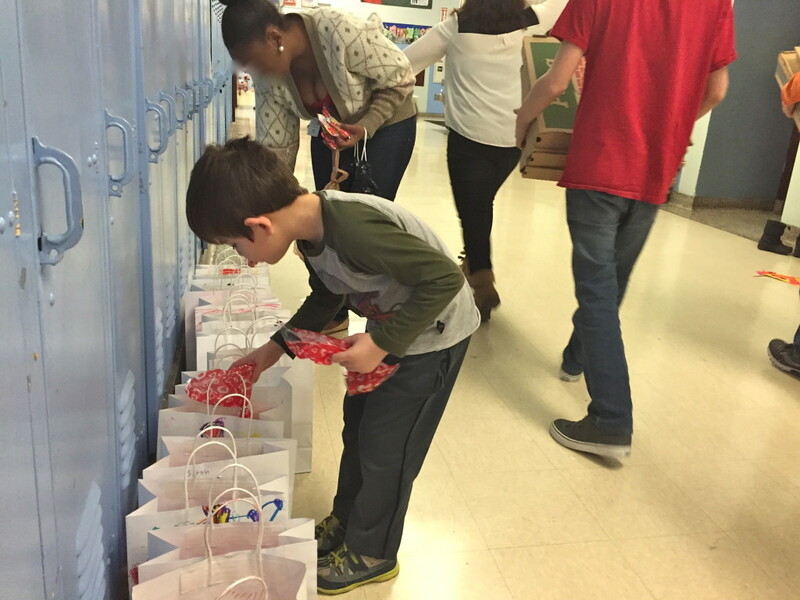 In the afternoon I watched videos with Ben’s class and helped him stuff valentine’s bags for his classmates. It was really quite a sweet day and as guilty as I felt leaving the twins, it was so nice to spend time with the older boys in their school environment. After today I don’t think I can top the festivities tomorrow – the real Valentine’s Day.